The Shopper Mopedbil was absolutely minimal transportation for a single passenger. The handlebar steering and rear-mounted engine were moped-derived. This odd motorized three-wheel shopping vehicle with shopping basket on the tail was built in Forshaga, Sweden. Controls were on the handlebar and the canopy tilted sideways. The vehicle was quite commonly seen in the sixties and seventies in Sweden, driven mostly by the elderly, but some teenagers took to it as well. 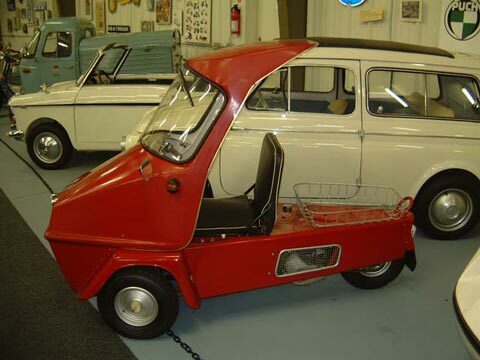 The prototype was ready in 1962, and the little vehicle seems to have been produced well into the seventies. These days it is rarely seen on the streets. It was also known as the Forshaga Shopper.